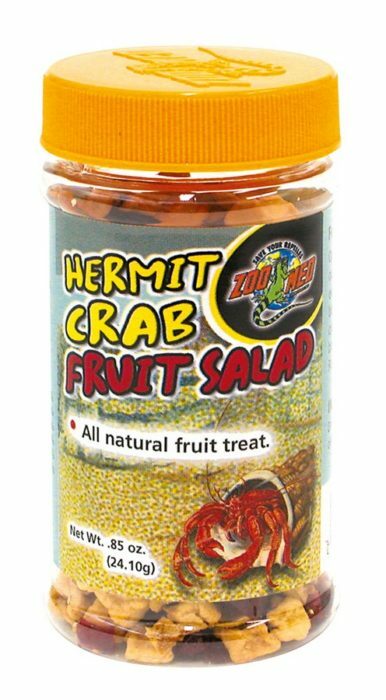 Hermit Crab Fruit Salad | Zoo Med Laboratories, Inc.
Open container and spoon out 1 teaspoon of food per every 1 to 2 Hermit Crabs being fed. Place Hermit Crab(s) on top of food. For best results moisten food. Replace uneaten food daily. Dried apples, dried cranberries, dehydrated mango.